SAM-ICE™ is a JTAG emulator designed for all SAM MCUs and MPUs. It supports download speeds up to 720 KB per second and maximum JTAG speeds up to 12 MHZ. It also supports Serial Wire Debug (SWD) and Serial Wire Viewer (SWV) from SAM-ICE hardware V6. 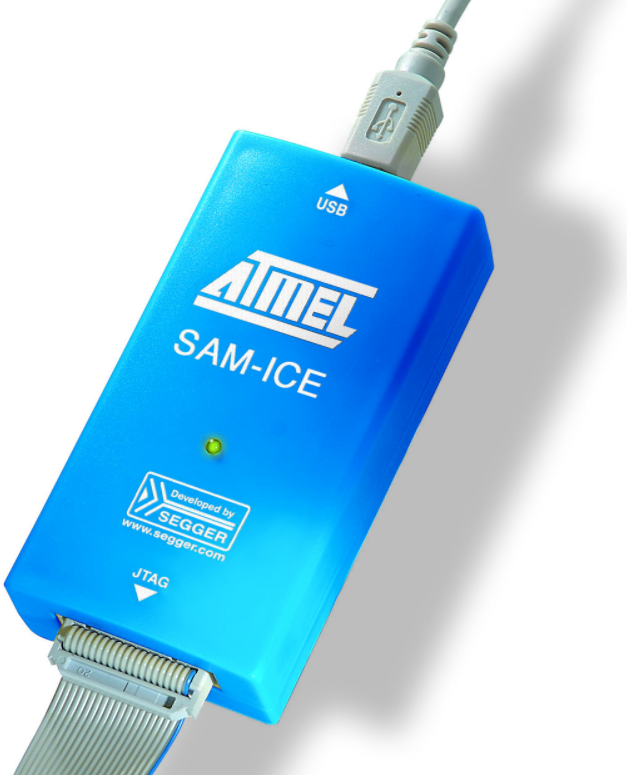 If you accidentally erase the SAM device on your Xplained Pro board (the embedded debugger will also be erased so the board then becomes 'bricked' i.e., it now has all the functionality of a brick), the only way to reprogram the board is with the SAM-ICE or Atmel-ICE. 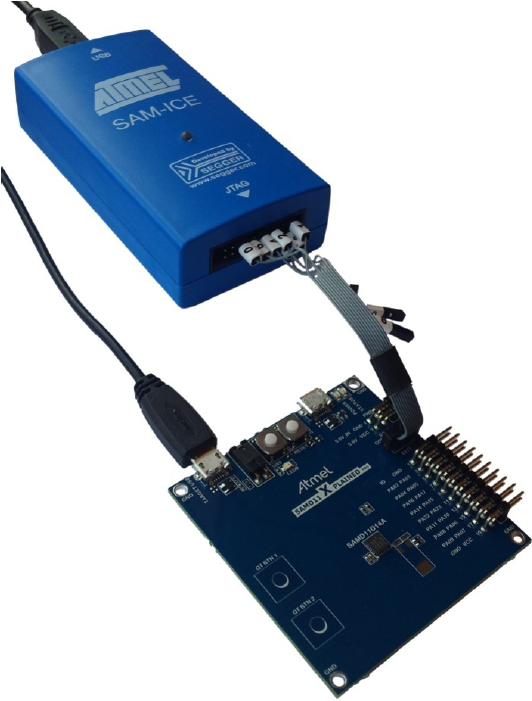 Connect the SAM-ICE to the Cortex® Debug Connector on your Xplained Pro board using a 10-pin 50-mil header to a squid cable. See the following table and image showing the connections between the SAM-ICE and Cortex Debug Connector.